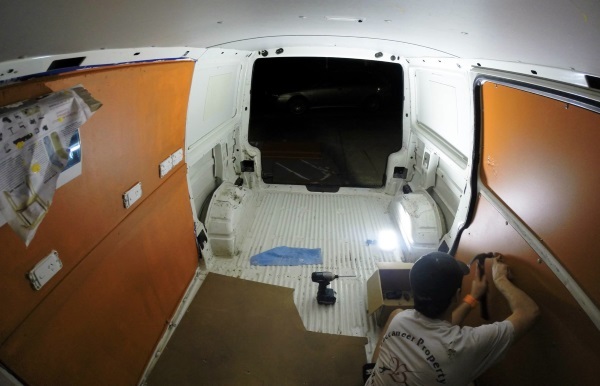 6) The pre painted lining was fitted to the sliding door. 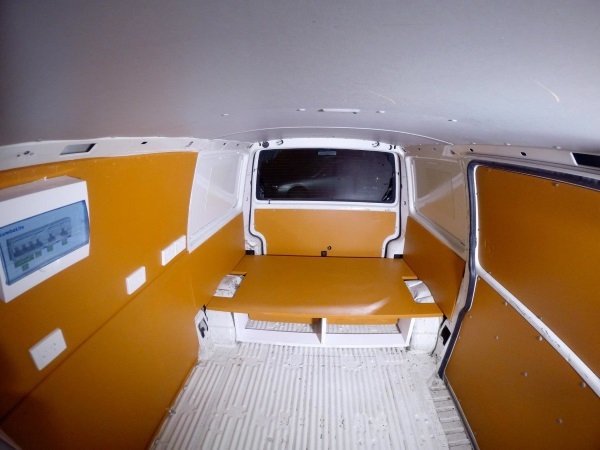 7) A first look inside the new orange layout before the machines are added. 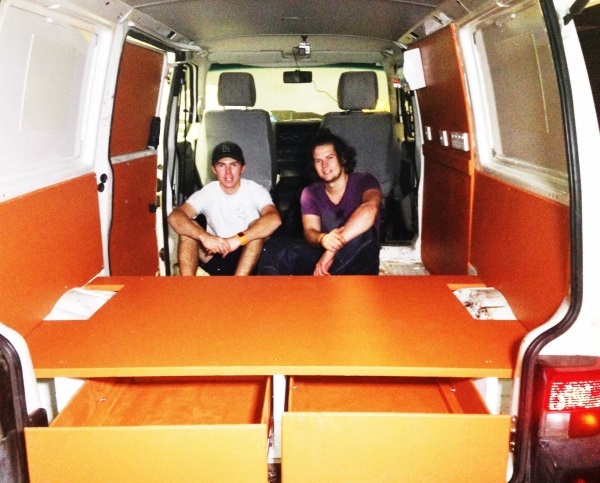 8) Lucas and Nicholas pictured in the back of the van showing off their newly fitted pull out storage draws. 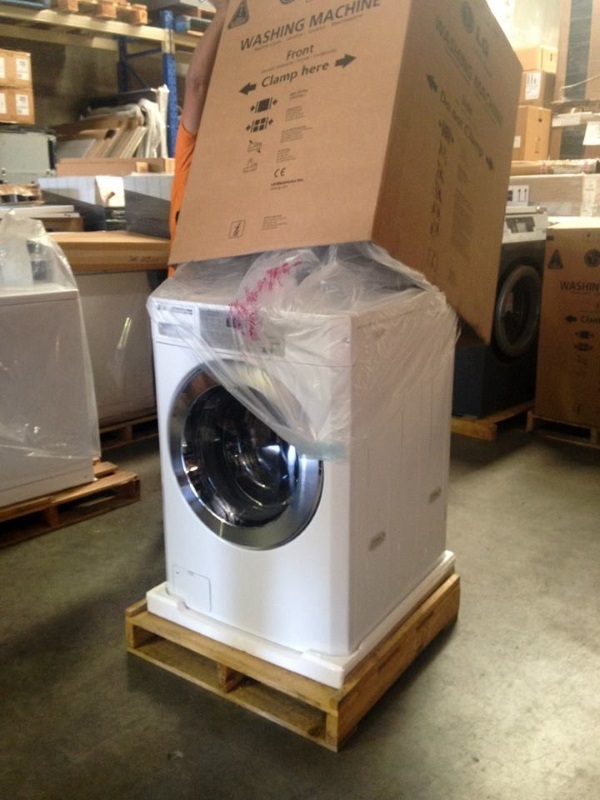 9) Unboxing the first washing machine ready for fitting. 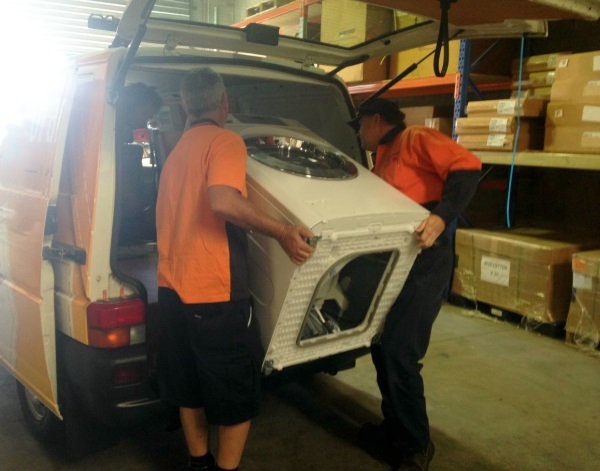 10) The first of four machines is lifted into place for installation.